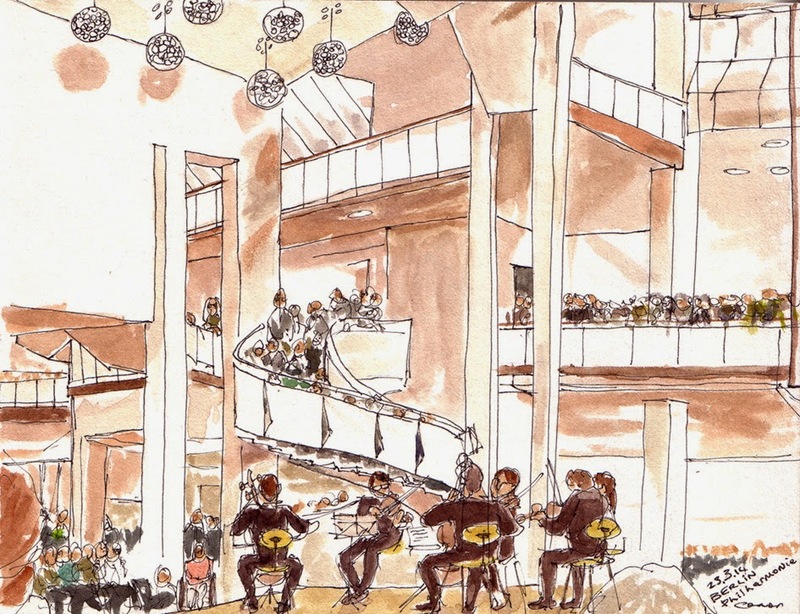 the Berlin Philharmonie are currently running a series of free lunch time concerts every Tuesday lunchtime. The week before last I was hoping to catch up with a group of urban sketchers there but was delayed. I arrived at the Philharmonie 5 minutes late and was promptly told "lunchtime concert is full" and got the door swiftly closed on me. The hall has a capacity of two thousand and there are always plenty of people prepared to sit on the stairwell as can be seen in this sketch which I finally managed to do after I turned up last week with Katrin Merle half an hour too early.